About a month ago (whoops! ), I released another open source project into the wild, SaveTimer. This was one of those “wouldn’t that be a cool idea” moments that spontaneously resulted in a modest little project. The whole thing was conceived, built and published in the space of a few hours! 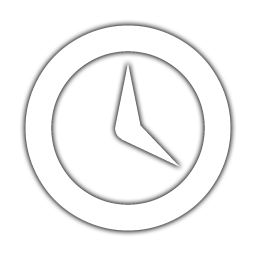 Notify a user if they have not saved in a ‘watch directory’ for a certain interval. This is a very simple application, written in C#/.NET 4.5.2, which observes a specified ‘watch directory’ on a given interval. The most recent file in the watch directory is examined to determine its last modified time. If this is older than the specified interval time, the user is shown a message reminding them to save their work. The user can suppress the messages for an indefinite period of time by right-clicking the icon in the ‘clock box’/system tray and choosing ‘Stop reminding me’. This was written to support academic examination access arrangements, where users are intentionally only given access to a cut-down word processor such as WordPad, without spellcheck support. Unfortunately, WordPad does not autosave, so this application provides a regular reminder for the user to save. In this usage, the user is given a blank mapped drive to save in. In addition to the regular save reminders, the application also ensures that the user has saved in the correct directory to avoid data loss and ensure compliance with controlled conditions of where they must save. At the risk of sounding immodest, one of the most enjoyable things about this project was jumping right back into the C#/.NET environnment, with which I have spent less time recently, and discovering that I still had all of the intuition of how to build the functionality I desired. Perhaps this is testament more to Visual Studio’s IntelliSense suggestions and the simplicity of the application, rather than my memory, but it nevertheless was a rewarding feeling to quickly go from zero to an app that does a specific task quite well! I’m also pleased to say it ran in… shall we say, production… without causing any issues. If it saves one piece of work, I think it will be worth it! SaveTimer is released under the GNU GPLv3 or later. The code is available on GitHub and you can also download a ready-to-run executable, if you have .NET 4.5.2 installed. No installer required!